Since Dave Brown has obviously been relocated within the witness protection program, you’ll have to deal with a letter from the editor instead of your normal President’s message. As some of you may know, I recently purchased a new vehicle due to the fact that someone slid into my old Neon and smashed it. (While I was on my way to an astronomy club meeting, no less.) That was the same week I’d received the title for paying it off. Sweet, no? So, my baby is now in the shop, waiting to be fixed up and returned. In the meanwhile, I’m desperately trying to locate and remove the homing device referenced in the Slate of Officers above. I’m thinking it’s a sub-dermal microchip behind my ear. On a lighter note, I went out observing last Saturday for the first time in months and it was breathtaking. Hopefully, our luck in weather will improve as the year progresses towards the Spring season. Check out the upcoming events on the back page; we’ve got tons of things coming up. I hope to see you out under the stars soon! Just stay away from my car! Look toward the horizon in almost any major city, and you'll clearly see the gray brown layer of smog and air pollution. Yet when you look straight up, the sky can appear perfectly blue; you might think there's no smog at all! The smog is overhead as well, but it's much harder to see. Why is there such a difference? It comes down to viewing angles: A vertical line straight up through the atmosphere crosses much less air than a line angled toward the horizon. Less air means less smog, so the sky overhead looks blue. On the other hand, when you look toward the horizon, you're looking through a lot more air. The smog is easier to see. A one-of-a-kind sensor aboard NASA's Terra satellite capitalizes on this angle effect to get a better view of how clouds and air pollutants scatter and absorb sunlight. By doing so, this sensor —called the Multi-angle Imaging SpectroRadiometer (MISR for short)—is helping scientists fill in a major piece of the climate change puzzle. What is the net effect? MISR helps scientists figure this out by looking at the atmosphere at several angles—nine to be exact. Its nine cameras fan out across a range of angles from steeply looking forward (70.5 degrees from vertical), to straight down, to the same steep angle backwards. As the Terra satellite passes over a region, the cameras successively view the region at nine different angles. From these data, scientists can construct a three-dimensional picture of the cloud cover, revealing much more about cloud dynamics than a flat image alone. They can also see light bouncing off aerosol pollution from nine different directions, thus getting a fuller picture of how aerosols scatter sunlight. And they can even spot thin layers of heat-trapping air pollutants that might go unnoticed by other satellites. All this information comes just from looking at the atmosphere from a different angle. For more information, see http://www-misr.jpl.nasa.gov . Kids can learn about MISR, see MISR images, and do an online MISR crossword at http://spaceplace.nasa.gov/en/kids/ misr_xword/misr_xword2.shtml . Some people come and go in your life and leave no impression. It was not possible to not remember George. All of my favorite memories of amateur astronomy seem to have George in them. The first time I saw George was waiting for my very first BCAAS meeting back in 1991. I was so excited to have found a local club that I arrived for the meeting a half an hour early. The parking lot was empty, save for this distinguished looking gentleman, playing with his two big dogs on the grassy area. I remember being very impressed with his serene and confidant gait as he walked along. I remember wondering if he was a member of this group of fellow star-gazers I was about to meet. And member he was! Those big eyes and huge grin taught me a lot about astronomy over the next few years. We had a funny on-going 'thing' about old-fashioned chart vs. modern computerized finders. Yes, George loved his gadgets and spared no expense or distance to grab the darkest skies he could find... often luring unsuspecting BCAAS members along with him on his odysseys to the mountain he 'discovered' in West Virginia. In between were countless star parties and special events, all punctuated with George's boisterous laugh. We were the first to learn of the birth of his son, as he popped into our meeting from the hospital next door, just moments after Brandt came into the world! But the best memories were 'hanging-out' in the parking lot after meetings with a handful of fellow star-lovers who just hadn't quite had enough of astronomy or camaraderie on those wonderful Thursday nights. The last time I saw George was a surprise, as he entered the big astro auction I helped set up in March of 2002. We 'ditched' the auction and went to the hotel's restaurant, where George bought me lunch over many laughs and 'inside' discussions as two past BCAAS presidents. I never dreamed that my last view of him would be his walking down the hall that afternoon. There was so much for him to still do: Raise his beloved son, see the Southern Sky, discover a new 'faint fuzzy' object. But I can hear George bragging now..."You think WV skies are dark? Now, _I'VE_ seen dark skies!" Get sucked in: Black Hole Survival ToolKit coming April 30th! 3. How amateur astronomers can survive all the questions they get about black holes! To qualify: As of April 22, 2005, your club must have been an NSN member for at least six months and logged at least two events since October 1, 2004. Featuring the topics of gravity and black holes as an extreme form of gravity, the ToolKit is currently being tested by 14 member clubs around the country. What are the testers saying? "It makes it easy to visually represent what space is doing around a black hole . . . it grabs their attention!" "Any club that gets this kit will have a fun time with it." To get ready, you might want to review NASA’s Universe Forum on black holes: http://cfa-www.harvard.edu/seuforum/blackholelanding.htm. If anyone is interested in participating in the Night Sky Network, or you just want to check out the website, please contact me. From CNN.com—BETHLEHEM, Pennsylvania (AP) -- When the space shuttle Columbia broke apart over Texas, it scattered 84,000 pieces of debris, most of which have never been closely analyzed. Now, two years after the disaster that killed seven astronauts, Lehigh University students are getting a rare look at these unexamined parts -- and NASA hopes their findings might contribute to the design of the next generation of space vehicles. The eastern Pennsylvania school known for its engineering and science programs is the first university in the nation to be given access to the shuttle debris. A shipment of 50 pieces, ranging from windshield to wing, arrived last week. Seniors are looking at each part under powerful electron and light microscopes, trying to determine when and why the part stopped working and how it reacted under the extreme forces to which it was subjected. Microscopy will reveal the "telltale signs of the mode of failure," said Lehigh professor Arnold Marder, a materials science expert who served as a consultant at Kennedy Space Center last spring. NASA's collaboration with Lehigh is part of a program under which pieces of the shuttle are being released to the aerospace industry for research. Students will present their findings to NASA officials in April. "We feel like there's a responsibility not only to do a good job but to respect what happened on the flight," said Iping Lam, a 21- year-old student. While NASA scientists have given every piece of debris a cursory examination, most of their efforts were focused on the hunk of foam that tore away from the fuel tank during liftoff and caused a gash in the shuttle's left wing. That gash led to Columbia's destruction during re-entry. By giving Lehigh access to the parts that haven't been studied, NASA gets basic research performed at no cost to the government. "It's not a stretch to say that anything that Lehigh is doing, NASA would hope that data would help us design a better spacecraft," said Scott Thurston, vehicle manager of Atlantis and former vehicle manager of Columbia. As an intern at Kennedy Space Center, Lehigh senior Angela Capece helped tabulate the number and size of foam impacts on all 113 shuttle flights. She recalls walking through the hangar where all the debris was laid out within Columbia's footprint. "It's very sad, very somber," said Capece, 21, who is in Marder's class and plans to work in the aerospace industry after graduation. "Knowing what these pieces are supposed to look like and seeing them all distorted, it really is a graveyard." Welcome to the inaugural edition of a new column for the Pegasus - The ATM Corner. In the coming editions, we will be delving into all things concerning the home built scope. Mirror making, telescope design, fabrication and optical testing equipment will all be addressed as we move deeper into the mystique of an often overlooked segment of our hobby. Many people I have spoken to at star parties throughout the years often gasp when they discover that the scope they have been looking through is home built. To a lot of people, the mere thought of grinding one piece of glass against another and somehow ending up with a mirror that they can see the rings of Saturn with is unthinkable. This column hopefully will take some of the mystery from the process of designing and building your own scope - mirror and all. The satisfaction and pride you will receive the first moment you focus your scope will make all the work worthwhile. And work it will be. Don’t get me wrong - you do not have to be a rocket scientist to make a mirror that could easily rival (if not surpass) the quality of many a commercial made mirror, but you will have to have more than a little patience and a willingness to learn and understand the how and why of optical design and fabrication. The first question that we will address here is "Why build it in the first place?" After all, the local super store has quite the selection now of pretty impressive looking telescopes. All claim to be able to give you spectacular views of practically anything you point it at - just look at the photographs on the box of distant planets, galaxies and nebula. And it’s only 150 dollars!! How could I go wrong? As fast as it takes you to say "charge it". If all you ever want to look at is the moon and a handful of other objects, well then maybe, just maybe, you would be all right. But don’t expect to go hunting for the thousands of other wonders of the night sky. It just isn’t possible. Why, you ask? The reasons are many, but to boil it all down, let’s just say these telescopes are mass manufactured and are built to sell for relatively low prices. Quality optics (as you are about to find out) take extraordinary amounts of time and hard work to give you that perfect image. This level of quality just isn’t attainable and shouldn’t be expected from a scope from your local department store. Not to pick on the mirror (or lens) of these scopes, but they are only one part of the optical train. The best mirror in the world on a mount made of press board with a focuser that sticks and a base that wobbles is just as bad. Now if your wallet is a little fatter, there are quite a few nice scopes out there that could give you a lifetime of pleasurable observing. But the trade-offs still exist. While you may have a better mirror, you may still probably long for that Crayford (smooth as silk motion) focuser, a mirror mount that adjusts a little easier (for accurate alignment of the primary) or a secondary mirror size better suited for the focal length of your scope. I was one of these people for many years. Still others with credit lines (you know who you are) have equipment that rivals professional stuff and produces those "gee whiz wow" images we all crave. The point of this column is that those "gee whiz wow" images are attainable with something made with your own hands - and for a monetary price that is affordable to most. The highest price you will pay is your own time. You will be able to design into the scope from the start everything that you wish for, getting it right the first time. A scope that will reveal all the sky has offer, a scope that is easy to use and transport, a scope that you can say " I built that". In the next installment, we will discuss the basic workings of a telescope and answer the age old question that so many people new to the hobby get wrong - "What is a telescope?" I had read that there was some confusion as to just when George Washington was born, due to a change of calendars. When I looked into this I discovered an interesting bit of history. There is no physical reason why the time that it takes a planet to complete an orbit of the sun has to be an even number days. In the case of the earth, one orbit takes 365.2422 days. Every year, when we start a new year, the earth is approximately one-fourth day short of being back to where it was in its orbit when we started the previous year. This problem bedeviled calendar makers for centuries. Over a period of a few years, the calendar would get out of synchronization with the seasons and there would have to be a royal edict to add a certain number of days to a month to get things back in order. Julius Caesar, with the advice of the astronomer Sosigenes established the Julian calendar in AD 08. This calendar had 12 months, each having 30 or 31 days except February which had 28. Once every four years an extra day is added to February. The trouble with this calendar is that adding an extra day every four years is a little bit too much, since the time for one earth orbit is a little less than 365.25 days. After 1500 years, the calendar was about 10 days out of kilter with the seasons. In 1582, Pope Gregory had his astronomers work up a better system. He had the date shifted 10 days so that the vernal equinox occurred on March 21. Rules were adopted so that leap years would be skipped on certain dates. The main rule is that no even century is a leap year unless evenly divisible by 400. This is known as the Gregorian calendar and was adopted immediately by many countries. The Gregorian calendar will not get out of step with the seasons for about 20,000 years. One country that stayed with the Julian calendar was Great Briton. I suspect that the Church of England was not going to let a bunch of Catholics show them how to run a calendar. George Washington was born in Virginia by British parents. He was born on February 11, 1732, according to the Julian calendar. In 1752, the British recognized that Pope Gregory had a superior product and switched to the Gregorian calendar. To get the date in line with the seasons, and the rest of the world, they moved their date ahead by eleven days. Washington's birthday is now celebrated on February 22. The year would have 10 months of 35 days each. Each of these months would have five 7 day weeks. the day of the vernal equinox. The special month would be called "Spring break." All commercial activity would cease and everyone would get down and party for two weeks. After all, why should the college kids have all the fun? Saturday March 5 - 5:30pm, Star Party @ Larry Citro's House. 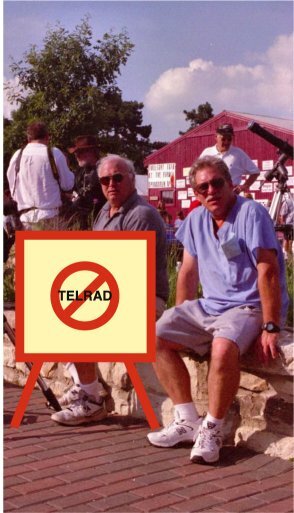 Larry Citro is hosting a Star Watch at his home for beginners who want to learn how to use their scopes and learn the sky. Rain /cloud date Saturday, Mar 12. Thursday March 10 - 7:30pm, Monthly club meeting at the Reading Planetarium. Tonight's event will be announced. Everyone one is invited. Tuesday March 21 - 8:00am, Judging for the Berks Science and Engineering Fair @ George Bollman Physical Education Center. Wednesday March 22 - 7:30pm, Awards Ceremony for Berks County Science & Engineering Fair at the Albright Chapel. Saturday March 26 - 12:00pm, public program at Wyomissing Public Library. There will be astronomical talks and solar viewing. BCAAS Volunteers are needed. Saturday April 2 - 1:00pm, Joint Meteorite Hunt with the Berks Mineralogical Society. Thursday April 14 - 7:30pm, Monthly club meeting at the Reading Planetarium. Tonight we will be presented with a planetarium show entitled "Deep Impact: Rendezvous with a comet." College.